Google released the Penguin algorithm back in 2012 that promised to reward websites with thought-provoking, relevant content that users can benefit from rather than spammy websites that existed simply for the purpose of providing links and poor content to drive traffic to another website. Why the Google Penguin Algorithm Update? Google wanted to improve the user experience by ranking websites higher on their search results if they were legitimate and worthy of providing the internet user concrete and suitable information regarding a particular search. They wanted to penalize spam sites by making them virtually invisible to users. They were pushed so far down the Google rankings and in some cases they were blocked. It proved that substantiated, quality and unique content would win over Google and their revamped, tough search engine ranking standards. By 2012 the internet was becoming a very crowded place and the popular search engine company had to do something to help users sort through the wide array of content that would come up in basic searches. Deceptive link building tactics and keyword bloat is now detectable by Google Penguin and prevents the user from being exposed to it to useless and spammy content. As a result of the Google Penguin update, many companies who spent years building what they thought were smart ways of driving traffic to their sites are suddenly penalized in search engine results page rankings, forcing them to reimagine their digital marketing strategies in ways they aren't prepared for. It puts an emphasis on not only the presence of content but the quality of it as well. The Google Penguin update makes sure that content on their search results pages is about providing quality information to the user. Keyword optimization is still important in the world of SEO, but now the weight put upon quality content is very important too. Google penguin also penalizes sites that break the natural link building rules of web development. Some websites have unnatural backlinks that don't help the users in any way, but it did help boost SEO and thus created better placement in the search engine results pages. Things became competitive and web developers saw this as a way of gaining an edge over their main competitors. Content was just stuffing a website with links all over the place to drive traffic. Often the content made little to no sense and provided the user with no real informative purpose. A user would click the links throughout this phony content hoping to find something relevant from their website visit. To understand link building you have to have a good grasp of how they can actually benefit a website. Think of a link like a sponsor. A website will link to your site, which says that it's a good resource for the user. It acts as a recommendation and the number of links pointing to the first site determine how effective a recommendation is. Developers created landing pages for links even though it had nothing useful for users. It was simply a place to place a link and thus enabling the linked website to rank higher in the search engine. That was until the Penguin update and identified these websites virtually saying that if you are going to do this then you should at least provide the user with something relevant, engaging and useful. Useless and spammy content is of no value anymore as Google now detects it, most of the time, and will penalize spammy content in rankings. 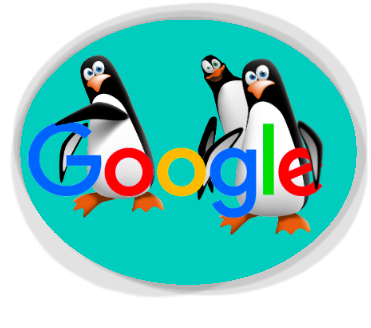 The latest Penguin update occurred in the second half of 2017 and is now part of Google’s Core algorithm. Web developers and White Hat SEO experts have since learned how to effectively optimize websites. Black Hat SEOs now have to either attempt to find other ways of scamming the system or put forth actual quality work to get results. When the focus is on content, SEO's are forced to put more effort into delivering quality rather than quantity. Google Penguin also enables a company to see how their website rankings are doing in real time allowing them to adjust their content strategy promptly in order to keep up with standards. In previous versions, when Penguin determined a link as spam, it would affect a website directly. Now, the link is instead devalued and while it still effects search engine rankings it doesn’t have as much of a devastating effect as it did in the past. With Google Penguin being a part of the core algorithm, web developers can see issues in real time and correct them before it risks the current rankings. Remember, Penguin is all about the unnatural link building, that was one of its main goals. The number of links a website had pointing to it the better its search engine rankings. So when a link is devalued it hurts ranks, but it can quickly be removed or replaced with a quality link. This enables developers to focus on content more, which will provide Google with fewer spam links. Web developers and digital marketers are always trying to stay ahead of the game with search engine updates. Major algorithm changes have the ability to devastate a company's livelihood. With the help of a good content marketing strategy, surviving algorithm updates is possible and thriving is even more obtainable. Google is committed to a quality experience for their users and are aware that web developers and digital marketing strategists will always look for ways to gain a competitive edge over competitors. Providing engaging content useful to users then Google will recognize place you higher in rankings. Bad content and poor quality links drive your rankings down. If you are not providing users with the information they can actually benefit from then, Google Penguin will penalize your site.